The most likely cause of sticky tiles is a build-up of cleaning solutions on the tile surface. Sticky tiles occur if floors are cleaned with a strong dilution of chemicals and not rinsed properly when cleaning is finished. Many people (and this includes professional cleaners) think that when the label says “use one cup per 10L bucket of water” that a dirty floor will require a stronger dilution to work better. 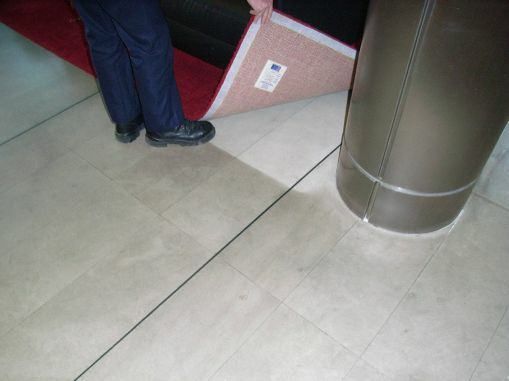 This is often not the case, and results in an excess of chemical residues on the floor, making the tiles ‘sticky’ so they actually attract more dirt. It may be possible to do this yourself by washing the floor with warm water (with NO chemical), and then drying or extracting it thoroughly. If the tiles are still sticky, or you’d prefer an expert to make sure it’s done properly, a Deep Dirt Extraction treatment will remove any chemical build-up, and extract any residues that have penetrated into the tile. This leaves a clean, pristine tile surface that is chemical free, non-sticky and easy to clean.